On Friday 8th May 2015 my mum finally was able to take receipt of her Mothers Day present – in the UK Mothers Day is held in March, so bless her she has had quite a wait! Enticed by last year’s Gardener’s World program filmed at Malvern Spring Show, I couldn’t wait for it to come around again! My mind had been full of what I might see and buy, to the point I struggled to sleep the night before! Up with the larks we set off early and arrived just after the gates opened at 9am. The show was wonderfully organised so we breezed into the car park and strolled straight through the gate! Our first port of call was a coffee and a danish! We had been on the road since half 6 so we were ready for some caffeine! We then ventured in to the Floral Pavillion, which was breath taking! There were so many lovely displays from the nurseries! I loved the Plant a go go stand stuffed full of my beloved Heuchera, they are a local nursery to me and I love to see their stands at shows. Another favourite stand of mine was from Avon Bulbs Ltd, the plants were displayed in cardboard boxes with packing protection around them. Then the stand featured a lovely old bicycle and a bright red post box complete with two computer mice feeding out of it. The stand was pure theater and I loved it! 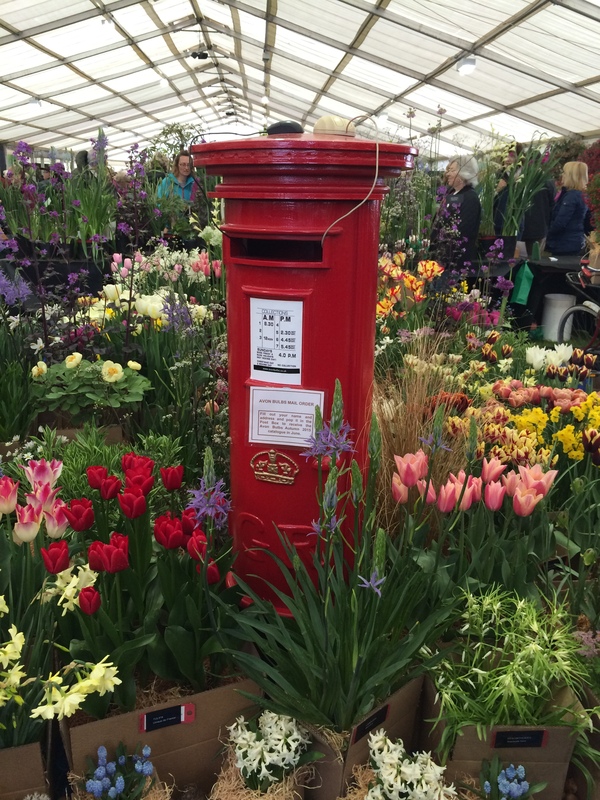 Avon Bulbs Ltd stand at The RHS Malvern Show 2015 promoting their Mail Order service! 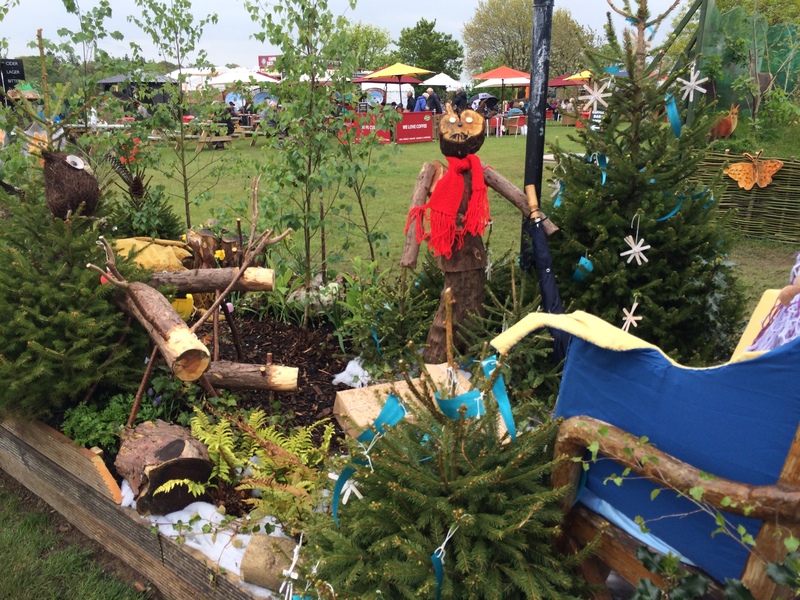 There really was so much to see and do at the Malvern show with stunning show gardens designed to wow, and smaller designs that you can create at home! Quite a few of the smaller gardens really took my fancy as their designs could be created in your garden! I loved the garden ‘Constraining Nature’. The planting was lovely with Iris’s, Peonies and Verbascums set against a backdrop of a rusted screen and a water feature. It was such a lovely garden and perfect for a small space! 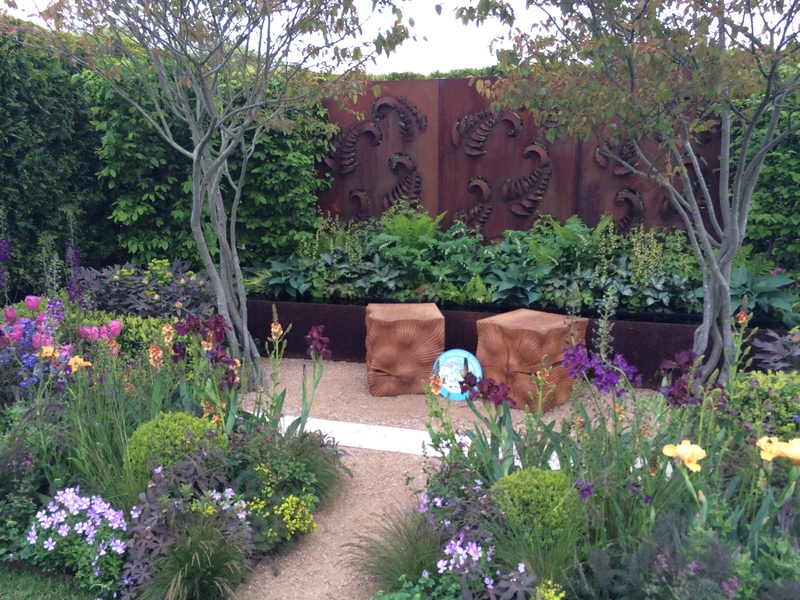 My favourite show garden had to be ‘An Andalusian Moment’. 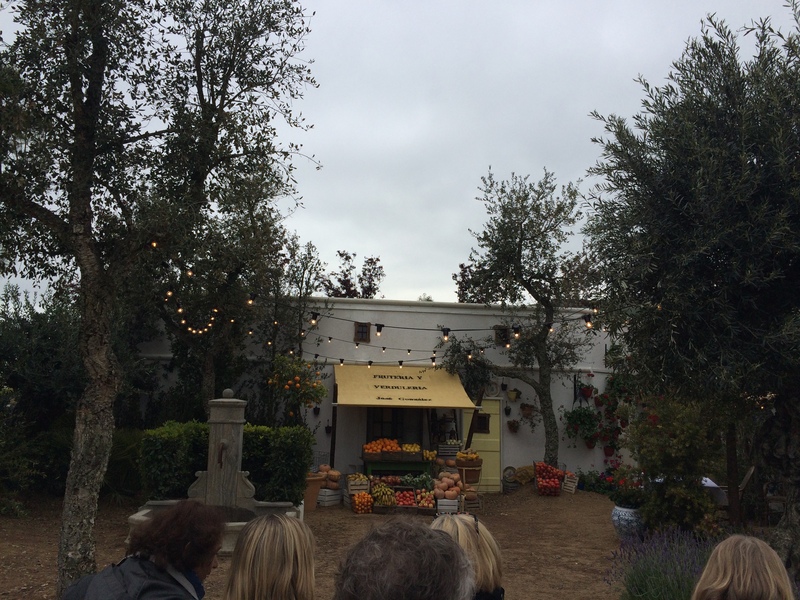 The garden was gorgeous and captured the spirit of a Mediterranean town perfectly. The main area of the garden was a town square and with the dark clouds over head, it made you feel like you were more in the town on an evening rather in the day. 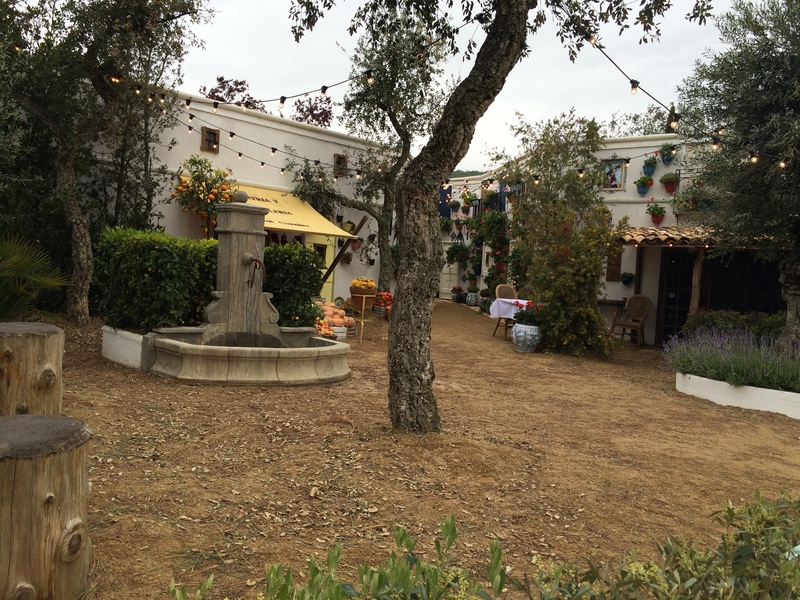 But the garden was beautiful with big olive trees and then even olive hedges! 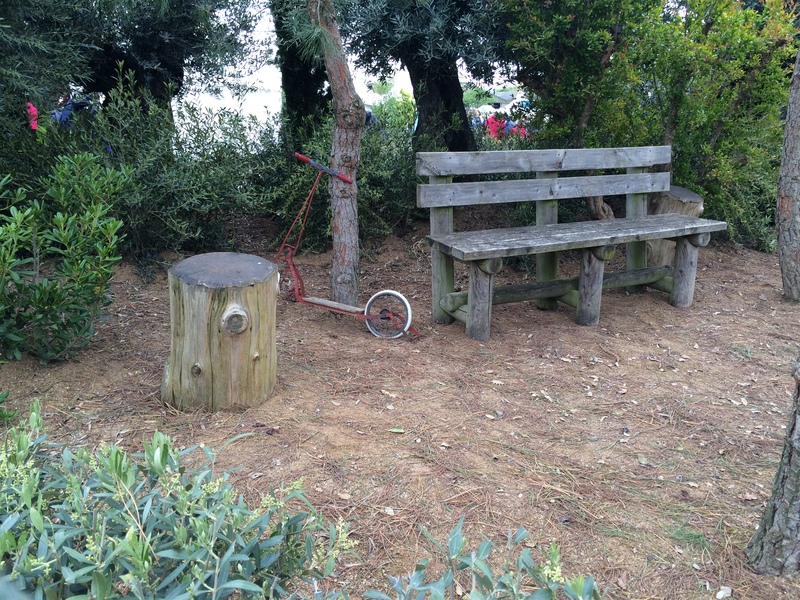 Around the outside of the garden were benches (with many people sat on them) and Mediterranean hanging baskets. It was a lovely garden to see and it created a great atmosphere! I loved the overhead street lighting used and I will definitely be using some of that in my own garden! A low Olive hedge allowed you to nosey at the garden! 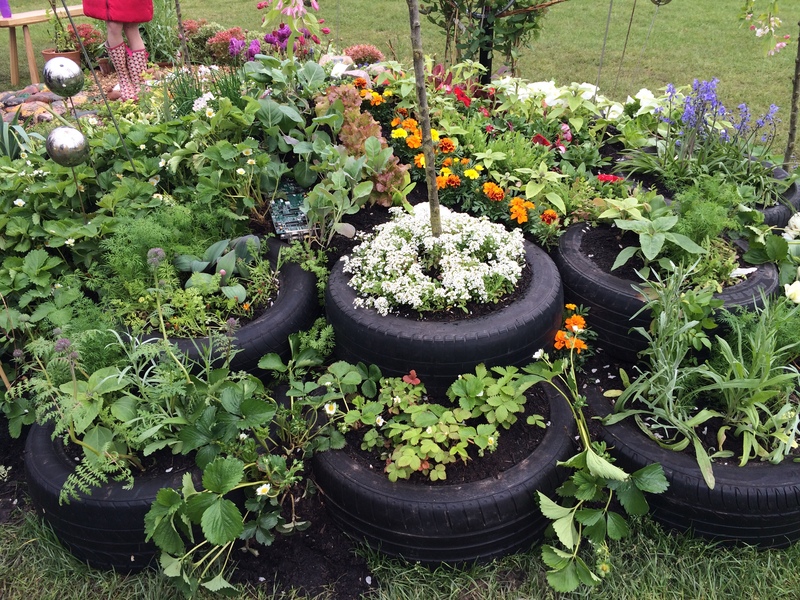 I have to say I also loved the involvement of the younger generation into gardening, with a number of small gardens being created by local schools! So much effort had gone into these gardens from a bicycle powered pump, to musical instruments in the garden to a wardrobe taking us on a journey! The category was full of creative ideas that all deserved an award! 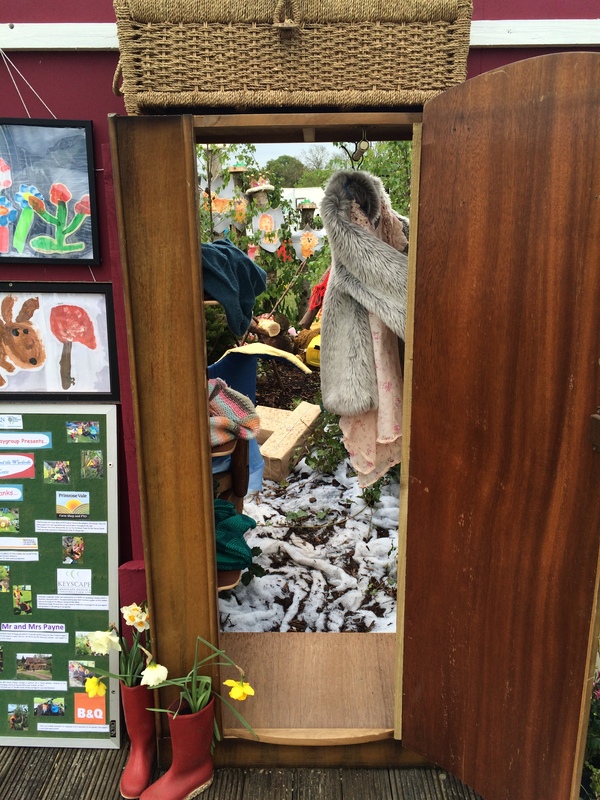 The Lion, the Witch and the wardrobe garden was thought out beautifully and well executed! The Witch presiding over her Kingdom! I cannot recommended the RHS Malvern show enough and if you can get there later on this year for the Autumn Festival or next year for the Spring Festival, definitely do! I will definitely be making a return trip and I cannot wait! It’s a fantastic show with lots to see and do! What did you think of the few gardens I pointed out? 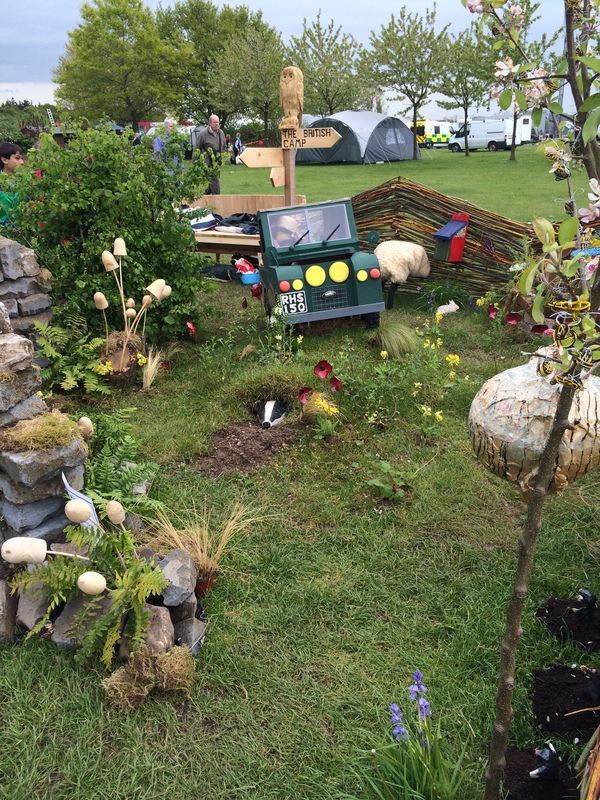 Did you go to the RHS Malvern? If so what did you think? ← If you go down to the woods today you’re sure of a big surprise! Thank you Abigail! I certainly did, mum and I can’t wait to go again! Yes they were great weren’t they! I love the ideas and concepts the growers/designers come up with to present at garden shows – very clever people! Looking forward to reading your blog and thanks for the follow!